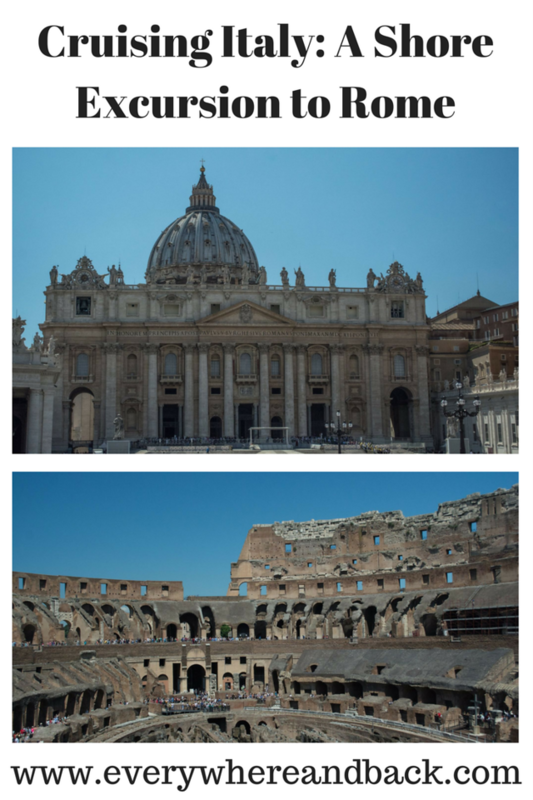 A shore excursion to Rome…it just sounds strange. Normally we do not book excursions thru the cruise lines. Most of the time you end up with a lot of people in your group, you pay way too much money and you end up being rushed so you can sit and wait at a gift shop that they have no doubt partnered with. It’s really just not my idea of a fun day! Now that being said there are exceptions! If I plan to travel far from the cruise terminal, I will book an excursion thru the cruise line. We also booked an excursion when we traveled to the Mayan ruins of Lamanai in Belize. 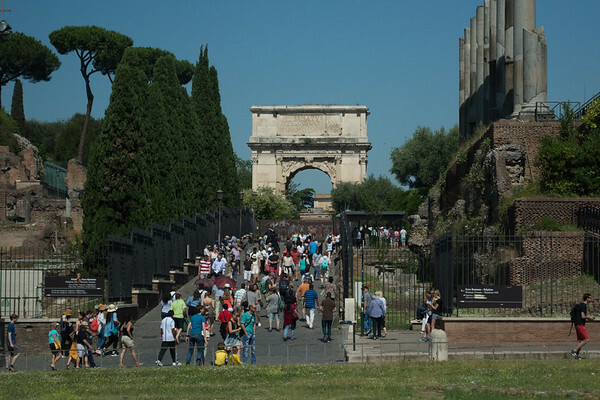 Rome was another example of a great time to book the excursion. I am very happy that we decided to book a shore excursion to Rome. When we started researching Rome and what we wanted to do for the day, we very quickly became a bit overwhelmed. Rome is an hour from the cruise terminal and you always hear about the trains being late in Italy. I also kept reading about long lines to the museums. We decided to bite the bullet and pay for a shore excursion to Rome. There were many options available, but there was one in particular that hit all the stops we wanted! We decided on The Colosseum, The Vatican Museum (including the Sistine Chapel) and St. Peter’s Basilica. Seemed like a perfect itinerary to introduce us to the Eternal City. The excursion was definitely not cheap and that was the hardest part for me. I am used to booking things on my own so I had a bit of sticker shock on the price! What helped me get over it was the assurance that we would get to see all the sights we wanted to see and the ship couldn’t leave us behind if we are delayed getting back. These are the main reasons that we booked our shore excursion to Rome this way. 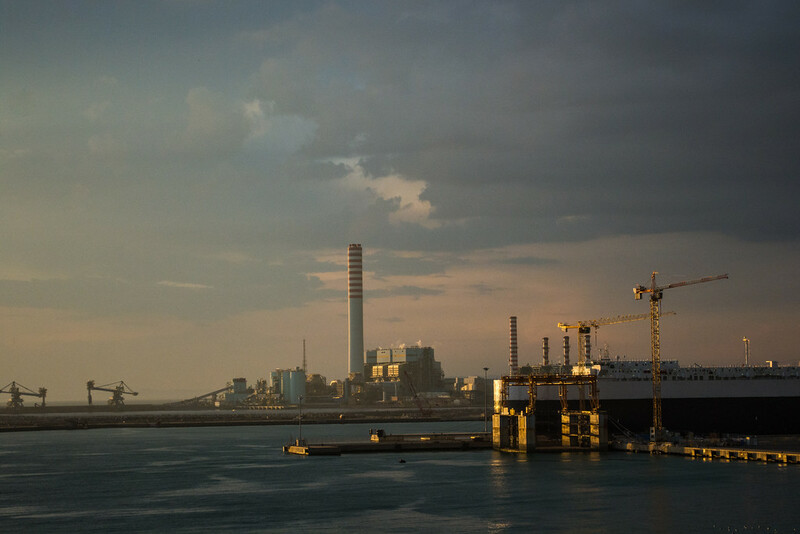 You can be tempted with cheap rail tickets, but Rome is one of the top ports for people missing the ship! I didn’t wanna be one of those people. We received our tickets to get aboard the bus the day before we arrived in Civitavecchia. Our day in Rome was going to be a very long and mentally overloaded day! We arrived in port at 7am and we were not scheduled to arrive back from our excursion until 7pm (ship leaving at 8pm). We called it an early night so we would have lots of energy for the following day. Meeting our tour group in the showroom is a standard part of a shore excursion, then you listen for your group number and when it is time, you head down to the buses. With it being so early we spent the hour bus ride dozing off and watching the countryside go by. After one short pit stop along the way, we finally made it to Rome and stopped one last time to pick up our tour guide. She spent a few minutes introducing herself and explaining the sights we would see and some of the protocol for entering the museums. We each received a headset with a radio receiver on a lanyard to wear. Since you are with a larger group and can’t all be right next to the guide these were good to be able to hear the explanations of what we were seeing and the in-depth history. 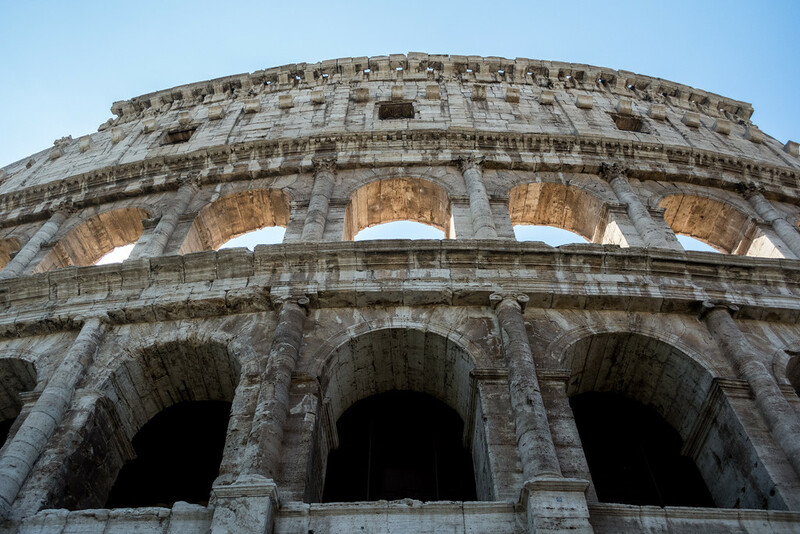 Our first stop would be the Colosseum, followed by a free time break for lunch, then the Vatican Museum and finishing with St Peter’s Basilica. One of the first things I learned about Rome is that there are people everywhere! It was a little difficult at first to stay completely with the group when trying to dodge people that are walking without regard for others. A little frustrating for sure, but you get the hang of it pretty quickly. Our tour group had an assigned entrance time, which was really nice after seeing the regular line. We still had to wait in line but it was not nearly as long as the other lines! 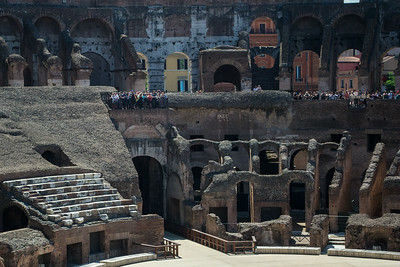 Also, it is mandatory to go thru a security screening before you are able to enter the Colosseum. The Colosseum was incredible to see in person! The structure is huge and to hear the stories told by our guide…I just couldn’t even imagine what it was like back when it was a functional arena. It was unreal to hear about the number of human and animal lives that were lost for entertainment. We were given about 30 minutes of time to explore without the group. Pay attention to where you are and how far you have gone. Many of the areas look the same and it would be very easy to get turned around. Before going into the Vatican Museum we were all given about an hour to find lunch before meeting back up with the group. We chose a small cafe that offered various pasta dishes and wine as part of their lunch menu. We still had a full afternoon of walking around Vatican City, so we enjoyed our large pasta lunch and met back up with our group. Entering the Vatican Museum you will also be required to go through another security checkpoint. The lobby area was so crowded that everyone was nearly shoulder to shoulder. We spent a few minutes in a courtyard area where our guide told us all about the Sistine Chapel. She had to take this opportunity to talk to the group because once you enter the Sistine Chapel your are not supposed to talk or take any photographs. The guards are pretty strict about these rules! Everywhere you look throughout the entire museum will be nothing short of spectacular. 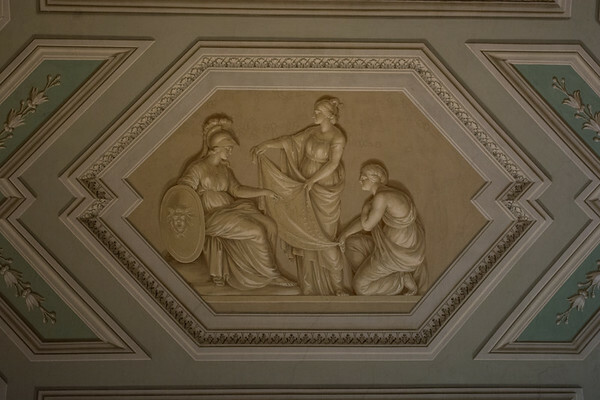 From statues to tapestries to ancient maps…it is just one beautiful room after another. The end of the Vatican museum tour ended with going into the Sistine Chapel. I have to admit I have never been in a more crowded room! I thought the lobby was shoulder to shoulder crowded, but this was way more crowded. You aren’t supposed to talk, although you hear people talking in hushed voices and the guards there are quick to shush people who talk too loudly. It is pretty amazing to see in person and see all the things that the guide told us to look for. 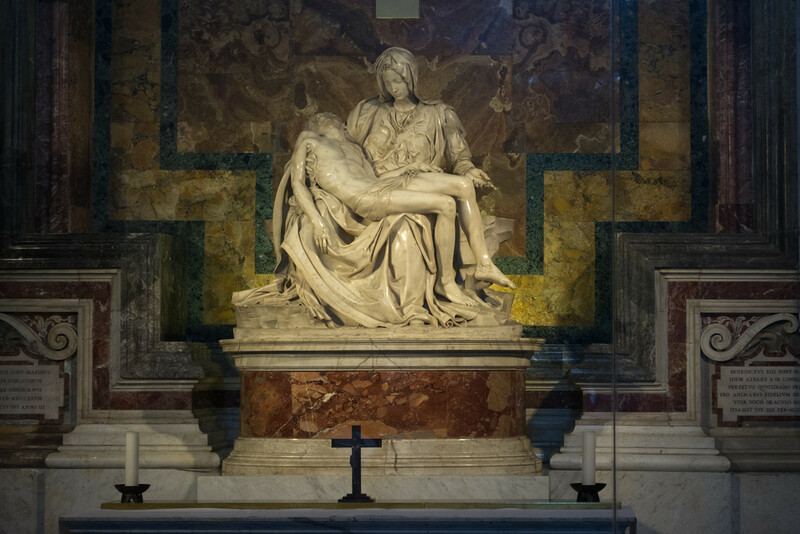 Here is a fun fact that I didn’t previously know; before painting the ceiling of the Sistine Chapel, Michelangelo had no painting experience…he was a sculptor. 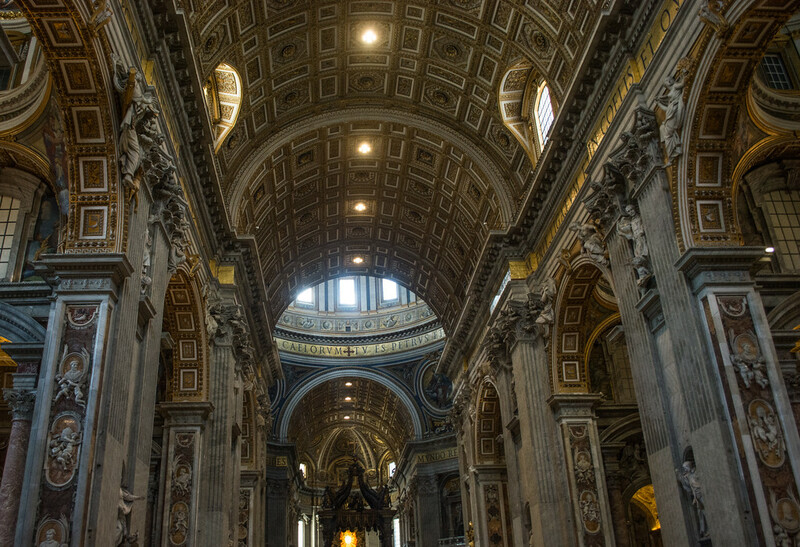 St. Peter’s Basilica is quite possibly one of the largest churches I have ever been in! There is so much to see while here and with a tour group I do feel like I was a bit rushed. There are many statues, paintings, and tombs to see while you are here. During our visit, we learned that this is a special year due to Pope Francis declaring 2016 will be the Holy Year of Mercy. The Holy Door was opened and we saw many people coming into the basilica as part of their pilgrimage. Just outside St. Peter’s Basilica is St. Peter’s Square. 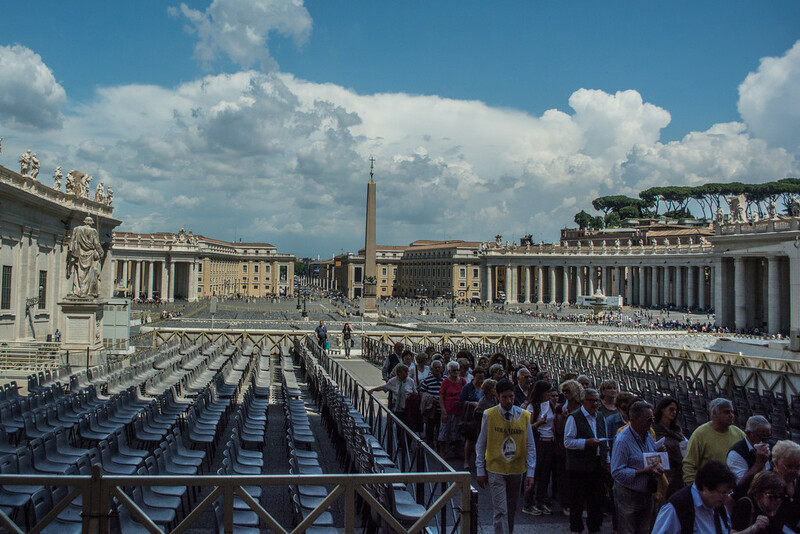 There are rows upon rows of chairs that are set up for mass. 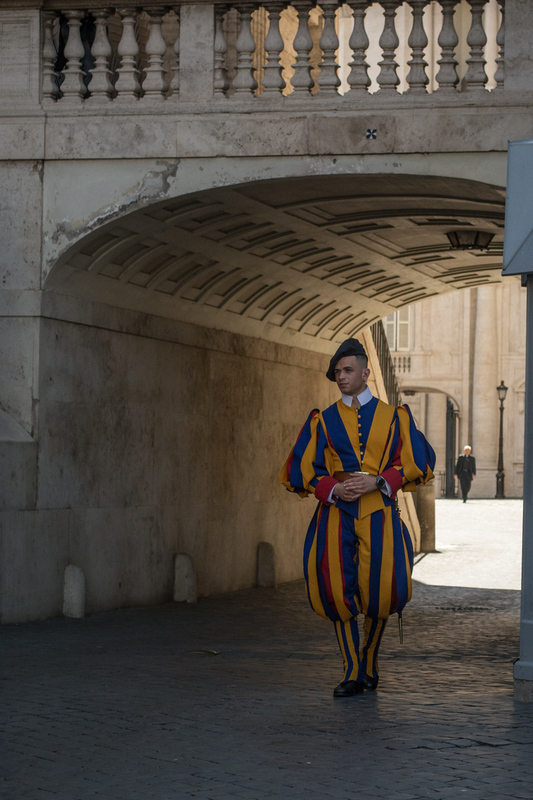 There is also the Swiss Guard standing watch that you can see and will recognize by their brightly colored uniform. Leaving the square there is a small trailer off to one side and you may not even realize it but that is the Vatican Post Office. You can stop in and they will provide everything you need to send something from the Vatican. 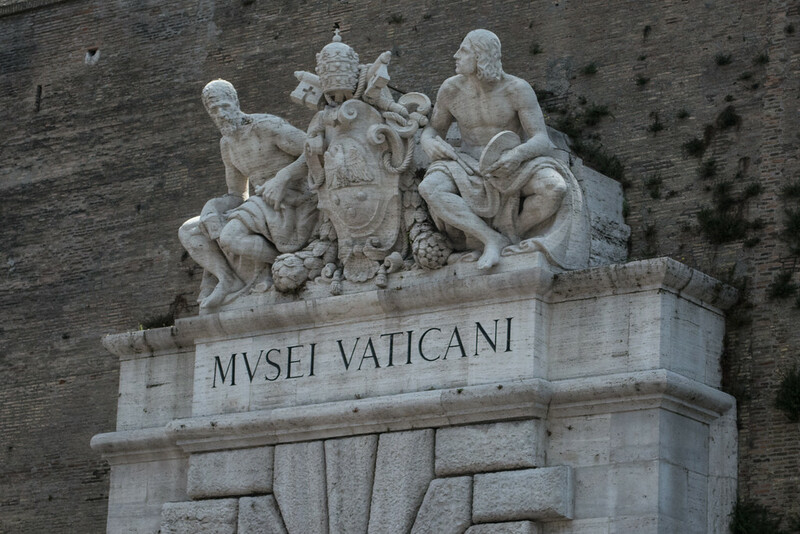 Sorry, the Vatican does not do passport stamps. After the very VERY long day of seeing many sites and walking who knows how many miles, it was finally time to get on the bus. On the bus, they offer a variety of drinks for purchase, consisting of beer, soda, and water. After a quick drink, I think nearly everyone took a short little nap as we made our way across the Italian countryside. It was such a tiring day but every minute was soooo worth it! I could see myself missing the boat after being distracted exploring! I only done one cruise and we ported for a couple of days so I haven’t missed the boat yet! Rome looks lovely, I’d love to visit! I can’t wait to go back to Rome. One day was only enough to scratch the surface! Looks like an awesome day you had 🙂 I’m heading to Rome for a few days in November and hope to squeeze in as much as possible too!! 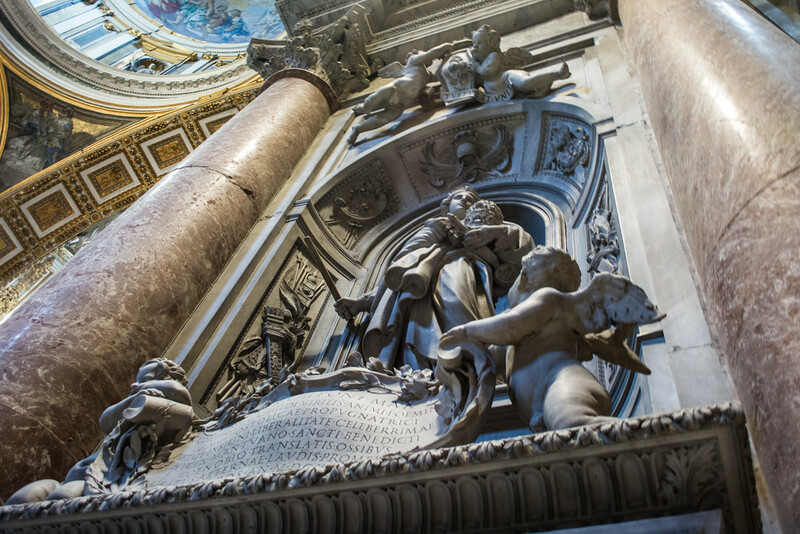 Rome is a beautiful city full of history and a visit to Vatican Museums is definitely a must for art lovers. Glad you could make to so many places in a day. Sometimes it really is worth the price for piece of mind and to be assured you’ll get to do what you wanted. Glad you enjoyed it! Rome has always been a dream of mine and this sounds like such a worthy shore excursion! I can’t wait to go back and do some slow pace exploring! I did a very similar trip to Rome a few years ago. Thank you for the beautiful reminders. I loved the Colosseum the most but I felt the same way about people everywhere, especially when using public transportation. Yeah, even with public transportation quite often being very crowded, it is still a very efficient way to get around town! 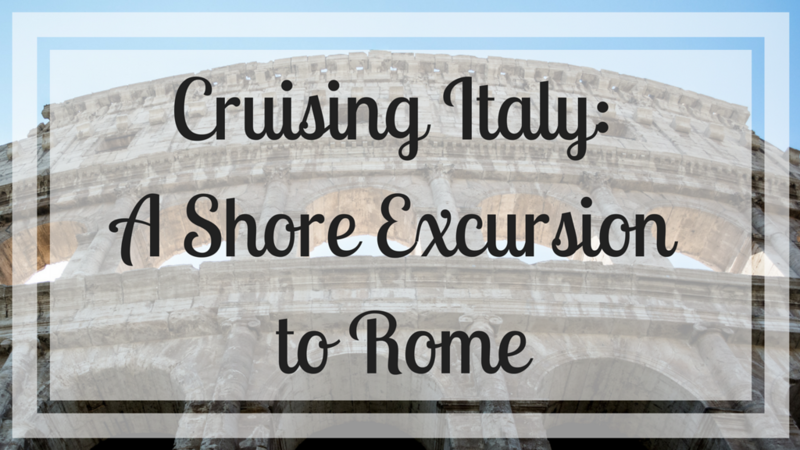 A shore excursion to Rome does sound strange, but it sounds like a good idea! I would hate to miss the boat on the way back, so it would be nice to be on a tour with the ship. I would love to see all the stops you visited, especially the Colosseum! The Vatican looks so beautiful too–I didn’t know that Michelangelo was only a sculptor prior to the Sistine Chapel either–interesting! This brings back memories of beautiful Rome. 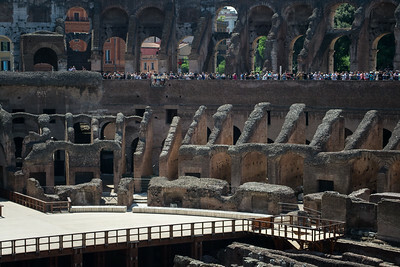 Visiting the Colosseum is something everyone should do at least once in their lifetime. 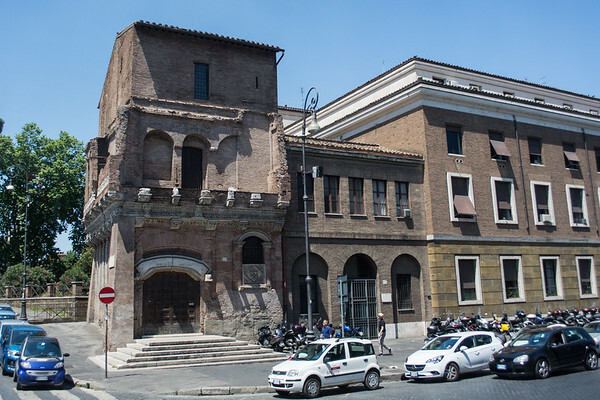 I bet this shore excursion has inspired you to spend more time in Rome! Would you do it as part of a cruise again or would you organise your own trip to Rome next time? Isn’t Rome so rich in architectural beauties? 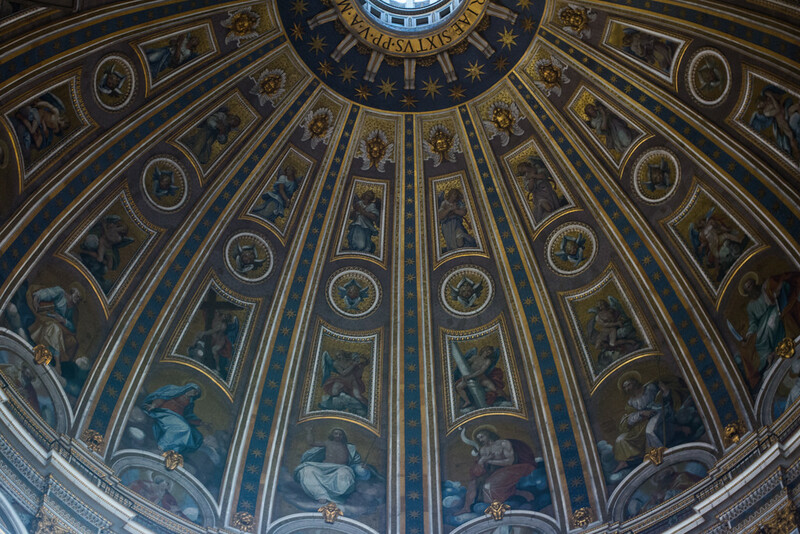 The Vatican was one place I loved. What an excursion! Sounds like it was well worth taking the excursion! I visited Rome once, years ago, for a wedding but we never got a chance to see the sights – I really can’t wait to go back. Thank you! 😀 Agreed! Rome was amazing! Have you done a cruise around Europe yet? We had so much fun! Very different feel than a US cruise! You’re welcome! 😀 Glad I could share with everyone! When was your last visit? Lots of great suggestions! I’d love to explore more of Paris someday. Wow, wow, wow, you packed it all in! I’ve done Rome in a 2-day trip, a 3-day trip and a 4-day trip but never tried a single day – that is pretty adventurous! I’m glad you got to see some of the best highlights and now you will probably know you want to go back, if nothing else, than to explore more food! I do want to go back very much! So many things are still on the list! Any suggestions on what to see next? I can understand why an excursion would be smart in Rome, it is easy to get turned around and you don’t want to miss the boat! Taking my first cruise this year, Hawaii. I’m going with my mom and she is pretty insistent that we book excursions through the cruise ship. Do you have any thoughts on this for Hawaii? I have never done a cruise to Hawaii, but what I always do is try to figure out what we want to do, how far it is to get there and back and try to see if there might be a reason that we wouldn’t get back in time. I alway buffer in extra time if we are going out by ourselves…but if the excursion is far away them I would recommend going thru the cruise ship. Roma eterna – I love it so much. So much so that I’ve been twice an it didn’t get boring as there is so much to explore. Your photos are a lovely reminder. The city in enormous and I think you could be there for a year and still not see all that it has to offer! I absolutely hate booking tours, because just like you, I prefer to do it myself on the cheap! This seems like it’s totally worth it though ESPECIALLY if you get the guarantee that you’ll not miss your boat! I love Rome, can’t wait to go back. Rome was so incredible and even though I feel like I missed out on really experiencing Rome, I am glad to have gotten to see the main tourist attractions so when I do return I can spend my time focusing on the lesser known places! I wonder if cruise lines plan the port calls so your only option for excursions is to book through them. I imagine Rome is a beautiful place by day and a magical place at night. I don’t think they do..honestly this is the second excursion we have booked thru a cruise line and we cruise pretty regularly. I think Rome is just one of the big exceptions for me due to how far Rome is from the port and how crowded the city is. There are definitely ways you can do it on your own just more risk and a bit more difficult. I think the price of excursions is often worth the convenience. It was awesome that you were able to wait in shorter lines because of being with this tour. Rome certainly is an amazing city and one of my favorite cities in the world. I didn’t know that interesting fact about Michelangelo though! I can’t imagine that we would have been able to see all the things we did otherwise. And oh boy were we exhausted at the end. Wow! Only a day in Rome. I spent five months there and still feel like there was more to see. At the same point you saw many of the highlights and better to visit for a day than not at all. Hope you got to fit in a good meal or two as well. Oh we definitely fit in a good lunch and fully plan to return for a more extended length of time! The city looked incredible! It looks like a great tour! I did a similar one when in Rome and I think it is worth it. In order to avoid the crowds, it is better to be in Rome between November and March. I had no idea that so many people are missing their boat in Rome. How is the weather in Rome during the winter months? Is it very cold? You managed to see a lot in your short day trip! I have to admit, despite being based in Europe I haven’t been to Rome yet. I’ll get there one day! Even with it being exhausting it was worth every second! We saw so many amazing sites during our cruise! With all the lines and the length of time t would have taken to get into and around the site we saw, I am quite pleased that we decided to do the tour. I would have been nervous leaving a pet in a motorhome like that for too long. Seems like they might get themselves into trouble! That’s quite a busy schedule, but sounds like you got to experience all the highlights! It makes sense to do the shore excursion just so you didn’t miss the boat. Worth avoiding the stress so you could enjoy your day! A cruise to Rome seems novel. But indeed all roads do lead to Rome! Rome is a living museum of art and architecture. 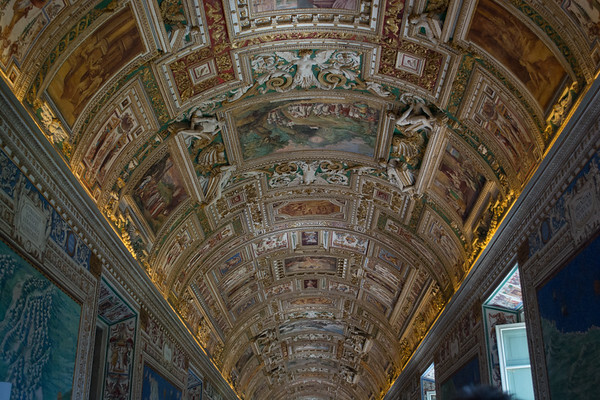 We loved it there, the Vatican Museum had us awed, especially the Sistine Chapel. 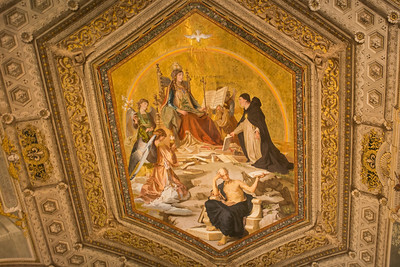 Michael Angelo’s artistic mastery cast a spell over us. I guess the saying has to change now to All roads and boats lead to Rome. 🙂 It is a beautiful city…and the history is incredible for sure!